Below is a summary of some of DFL Legal’s principal Construction-Industry engagements on behalf of owners, contractors, subcontractors, and engineers. Additional information regarding our representative engagements over the past 30 years can be found at the attached PDF file. DFL Legal has represented the turnkey engineering, procurement and construction (EPC) contractor for the last decade in connection with an offshore oil and gas project. At a contract price of more than $2.5 billion, this project was reported in the year 2000 to be the largest off-shore project under a single contract in the history of the industry. The owner of the project is the national oil company of a South American Country. 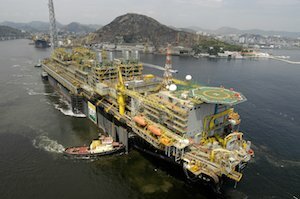 The project involved the conversion of two very large crude carriers (VLCCs) into floating production storage and offloading (FPSOs) facilities, the procurement and modular fabrication of the topsides for each FPSO, the drilling of 54 oil and gas and water injection wells and the supply of all the subsea umbilicals and accessories. The project has the capacity to produce 300,000 barrels of oil per day (bopd). Claims in dispute between the parties exceeded $1 billion. All contract disputes were governed by the laws of the State of New York where the project financing was closed and subject to ad hoc arbitration under the 1976 UNCITRAL Arbitration Rules. After extensive negotiation, all claims, with one exception, were resolved through a series of settlement agreements. The disputes involved issues concerning engineering and construction changes and delays, claims of cardinal change, liquidated damages for delay, schedule analysis and claims of time and money entitlement, international letters of credit, value added taxes (VAT), force majeure claims and project finance issues in connection with a worldwide syndicate of commercial and national banks. In total, we assisted in receiving change orders in the amount of approximately $200 million, reducing a claim for liquidated delay damages from $250 million to approximately $10 million and reducing a contractual claim for the payment of VAT taxes from over $300 million to less than $10 million. The one exception to the settlement of all claims relates to a dispute concerning the subsea flow lines which has been the subject of a four-year arbitration proceeding. The lawyers of DFL Legal served as lead counsel for the Commonwealth of Massachusetts, through its agency the Massachusetts Turnpike Authority (MTA), for a period of approximately seven years concerning a series of disputes on the $14.8 billion "Big Dig" project in Boston, Massachusetts. The Big Dig was the largest infrastructure project in the history of the United States. Our representation involved prosecuting and defending multiple claims with values in the hundreds of millions of dollars. Several of the disputes involved dispute resolution before a Disputes Review Board and formal mediation before two sitting judges from the Armed Services Board of Contract Appeals. We dealt with a wide variety of matters on the Big Dig, including subsurface conditions, delays, floods due to defective construction, excavation sequence disputes, terminations, forensic investigations, design errors and omissions, defective products and warranty matters. We restructured the payment terms of several of the project contracts that required the consent of more than a dozen sureties. In addition, we provided representation in connection with construction insurance coverage matters under all-risk bridge and tunnel, general liability and excess general liability insurance policies arising from a concrete ceiling collapse. We also provided day-to-day counseling in the general areas of dispute resolution, contractor insolvency, surety law, insurance, warranties, contract close-outs, acceleration and inefficiencies, contract amendments, public contracting statutes joint defense and tolling agreements and schedule analysis and time and money entitlement. DFL Legal represents the steam generator or boiler supplier in connection with a series of disputes with the EPC contractor for a 700 megawatt super-critical, coal-fired power generation facility. The disputes involve alleged delays, liquidated damage claims, guaranteed quantity overruns, changes, and back-charges. After commencing arbitration against the EPC contractor, all pending disputes were settled. We continue to provide ongoing advice in connection with the project. This project has an estimated value of approximately $1 billion and is located in the State of Iowa. It is known as Council Bluffs Energy Center Unit 4 and involves an approximate 700 megawatt super-critical, coal-fired power generation facility. We represented the facility’s owner in connection with the negotiation and drafting of the EPC contract and all ancillary project agreements. We served as lead counsel for the EPC contractor in connection with an onshore gas-to-liquids project located in Africa. The projected started as a lump sum turnkey contract with a lump sum contract value of approximately $1.7 billion. Initially, we assisted in preparing change orders and claims that resulted in a $250 million increase in the contract price. Due to continuing events of force majeure and community disturbances, we then assisted in converting the contract from a lump sum to a cost reimbursable contract. Lead counsel for battlefield contractor in Iraq in cases pending in the United States District Court for the Western District of Pennsylvania involving claims for wrongful death and personal injury. Lead counsel for a joint venture EPC contractor in claims against the construction all-risk insurer arising from damage to a liquefied natural gas facility caused by storm surge from Hurricane Ike. Lead counsel for the defendants in Bethlehem Steel Corporation v. Davy International / Davy Songer, a Joint Venture, et al., and for the plaintiffs in the related coverage action of Kvaerner Metals Division of Kvaerner U.S. Inc.. et al. v. Commercial Union Insurance Company, et al., both in the Court of Common Pleas of Northampton County, Pennsylvania. In these matters, we represented the turnkey design/build contractor in connection with a coke battery rebuild project located in Burns Harbor, Indiana with a value of US $126 million plus DM 46.0 million. In the main action, the owner claimed that the battery was defective as constructed in that its projected useful life was alleged to be less than one half of that which was expected at the time of contracting. The case was designated complex under the local court rules. The coverage action was against the All Risk, professional indemnity and CGL carriers. Just prior to trial, the case was submitted to an extended mediation process before a highly respected and nationally recognized mediator. The mediation involved all interested parties, including the insurance carriers, and resulted in settlement favorable to the defendants.